The new laws reduced the number of automatic , semi-automatic, pump-action and self-loading firearms in Australia by about one third. 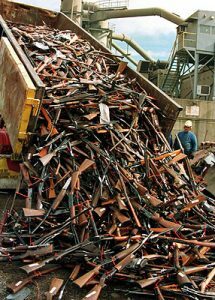 To be fair and compensate gun owners, the Australian government initiated a gun buyback program funded by a one-time income tax levy, and provided an amnesty period during which people could surrender newly-banned weapons without incurring any legal consequences. 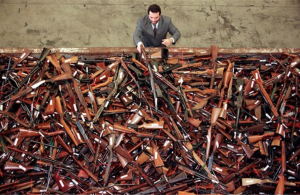 During the buyback period, over 700,000 firearms, both legal and illegal, were surrendered to the police and destroyed, representing about one-third of the guns that were estimated to have been in the country at the time. Australia enacted its new gun laws just months after the Port Arthur mass shooting. Research and the experience of other countries shows that gun laws do work to reduce firearm deaths. Many Americans long for such sensible action to be taken by American lawmakers to reduce rampant gun massacres here. It’s long past time for American elected officials and politicians to show the same resolve, courage and leadership as the leaders of Australia and New Zealand have shown in the wake of mass shootings plaguing their countries, and take steps to help our country overcome this massive challenge. Good thing we have the second amendment that unequivocally grants our right to bear arms. The number of people who have been disarmed and then murdered by state genocide far exceeds the number of people killed by firearms. Helpful list below. Your article is also incorrect in regards to suicide decreasing. Suicide rates have not changed significantly since 1921.
you can review the statistics from 1921-2009 at the link below. The suicide rate in 2018 was nearly 18/100,000. They have just altered the method used. Please back up your claims with references from authoritative sources. Your first citation is suicide rates in Australia. Seamus, Anne stated in her piece that suicides decreased. The link proves that to be false as I stated in my first comment.